Hey yall!! Christmas is right around the corner! It will be here before you know it! That is why we are bringing you our Christmas Series, full of recipes you can use to make your Christmas holly jolly! You know what I love about Christmas? Christmas ham!!! I love it!! We always have a big ham on Christmas Eve and then on Christmas Day we snack all day on all the leftovers from the Christmas Eve Feast. Christmas is so special in my family, we all go to my grand parents on Christmas Eve in our dress clothes and have a nice fancy dinner with ham, turkey and all the fixins. My grandpa gives the kids updates about Santa’s whereabouts while my grandma passes out slices of pie and coffee and we all take a minutes before heading home to rush of last minute wrapping. Christmas day is also spent at my grandparents, they have an enormous tree that my grandma fills will glass ornaments and everyone gathers round while my grandpa passes out the gifts. Sometimes we come up from the pile of balled up wrapping paper, curling ribbon and bows to have a bite or two. 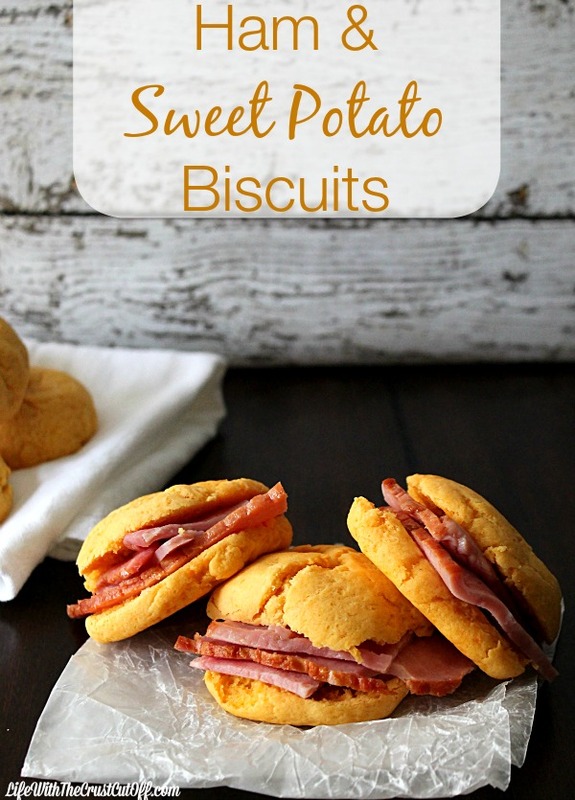 That is where that leftover ham comes in, except this time it’s on these simple but delicious Sweet Potato Biscuits. 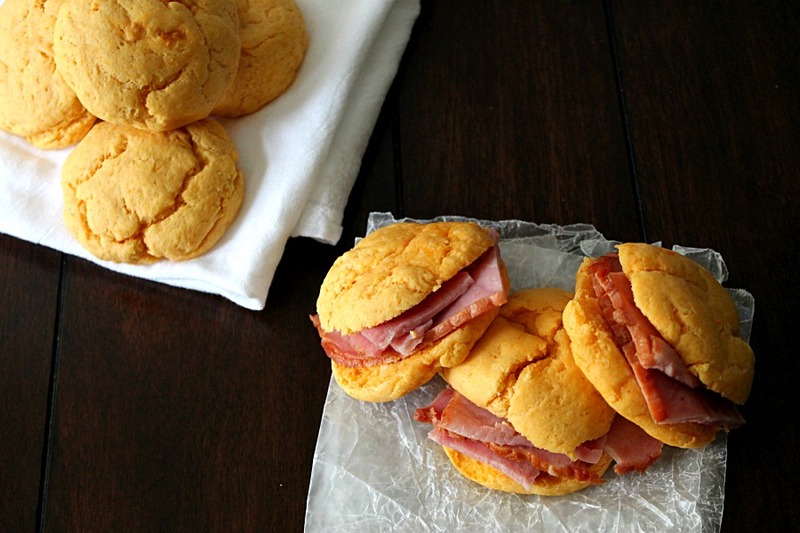 The combination of the salty ham with the sweet biscuits is just pure magic! 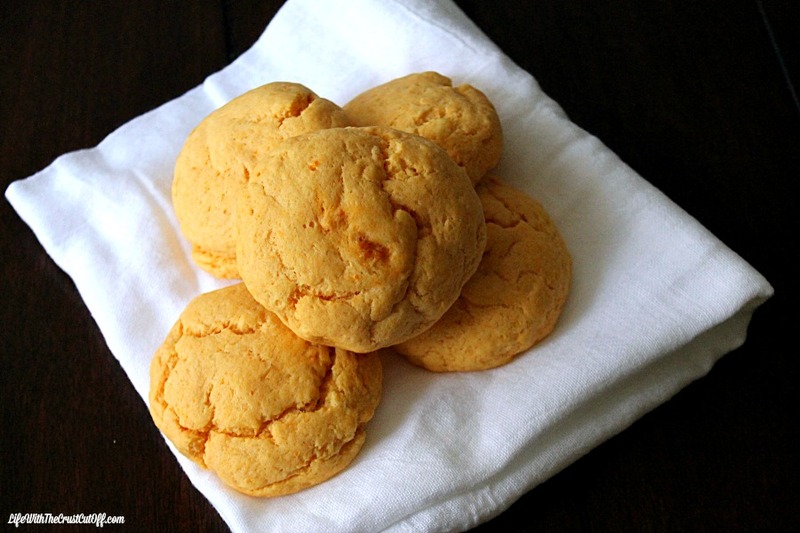 The biscuits take no time to prepare and are fabulous on their own just slathered in butter. But they are perfection stuffed with Christmas ham. Bake or microwave the potatoes until tender. In a mixer add the sweet potatoes, butter, sugar and salt. Mix until blended. Add in the Bisquick 1 cup at a time. You may need more or less depending on the size of your potatoes. You can roll the biscuits out and cut them, drop them like drop biscuits but I pinch off pieces of dough, roll them into balls and then flatten them into a biscuit shape, this works best for me. Bake them on a greased cookie sheet at 350 for 10-13 minutes. Head on over to Dana’s and check out her Garlic Butter Filets, yum! If you want more yummy inspiration, follow me on Pinterest!!! These biscuits look so delicious! I will definitely be pinning this one! Thank you!!! They are delicious!!! Yummo! These look perfect for leftover ham at Thanksgiving:) I hope you will stop by the Found & Foraged Linky Party next week too! (Saturday @ 8PM CST) Hope to see you there http://www.thebigrevealblog.com! 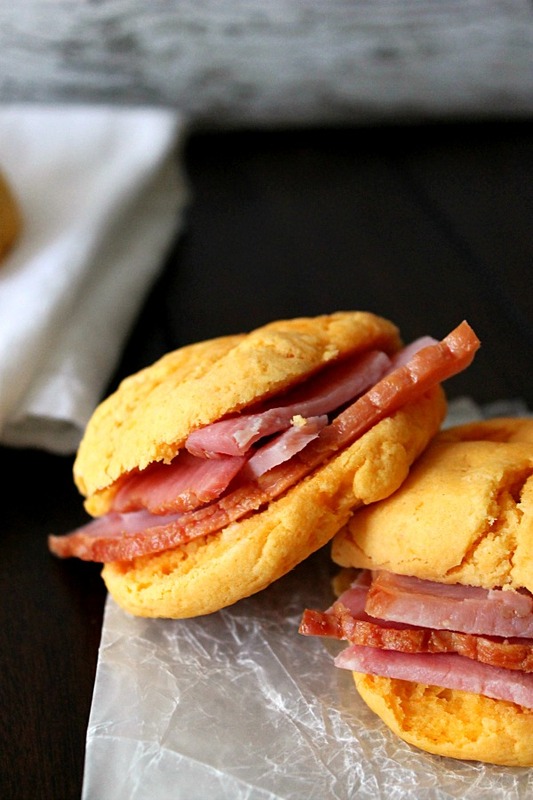 oh yeah these ham and sweet potato biscuits are making me drool like crazy! Please pass a few over I can’t wait to make my own! Thanks for sharing with us Parrish! I love sweet potatoes and ham! I bet these are divine and would be wonderful at a holiday party! Thanks for sharing at Treasure Box Tuesday. I shared on my SM as well! I love the name Parrish, I was born in Baton Rouge! Sweet and savory! Yum! Pinned! I really hope to see you back at Found & Foraged this Saturday night at 8PM! Oh yummy! This sounds like a ummy addition to my Christmas morning breakfast. 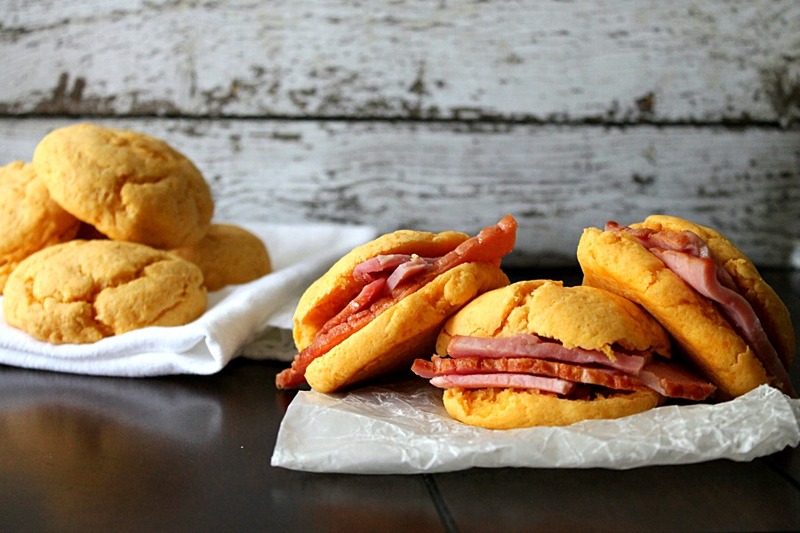 I try to add one new item each and year and I think Sweet Potato biscuits and ham has won out!!!!!!!!!!!!!!!!!! We love them for breakfast, such a great addition to the holiday breakfast table :) Happy Holidays! I love sweet potatoes in just about anything! Adding them to biscuit dough is brilliant! Pinning!